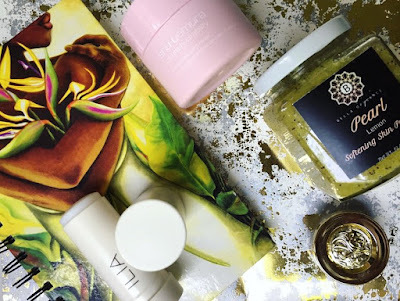 This week we were mentioned in This That Beauty featuring Lemon Poppy Pearl for Products that are Worth the Buy! We are happy to be featured alongside other natural products changing the beauty industry. We sent a check for Harvey Relief to the South Union Church of Christ in Houston Texas to help them rebuild their community, and are building a large box of products that we will send down. This weekend we will be attending a Legacy Summit and will be partnering with several charities that will be collecting supplies onsite to ship immediately. We will add our products to this effort. We will do the same for Irma relief. What has Vitamins, Iron, a sweet lemony scent, and is a natural astringent? Lemongrass! We choose ingredients that are healthy for skin and body so it was a no brainer to add it pure essence to the Citrus Silk Moisturizer. This silky smooth vegan moisturizer packs your skin with vitamins while the mild yet sweet scent gently energizes your spirits. Astringent An astringent can help stop blood flow by contracting blood vessels- closing your pores and protecting them from the environment. 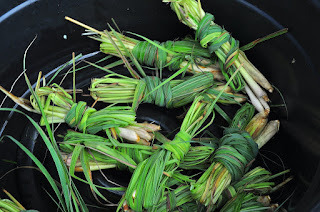 Lemongrass promotes contraction of hair follicles, skin and blood vessels. 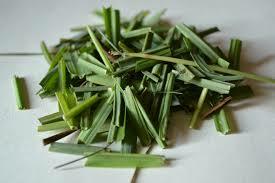 Acne The astringent and antimicrobial properties of lemongrass oil aid in resolving acne. Insect Repellent The sweet scent actually repels mosquitoes! These vitamins not only give your skin a boost, but they also are healthy for your body! Add lemongrass essential oil to a diffuser and allow the scent to make you feel clean, fresh, and renewed. Lemongrass oil can boost confidence and mental health. Lemongrass as a tea controls flatulence and promotes urination making it a great detox. Is lemongrass in your routine?